The Red Fox Spotted at Yosemite After 100 Years! 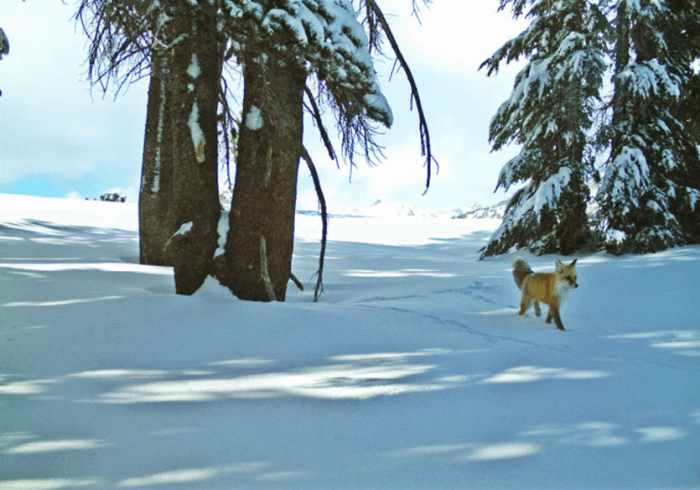 The rare Sierra Nevada red fox (Vulpes vulpes necator) was captured at Yosemite National Park by a motion detection camera in January 2015, the first time in over 100 years. The fox is one of the most rare mammals in North America and it’s believed there are only 50 individuals in existance. See more at the press release here.